When you think about security systems, security cameras and burglar alarms, you probably think about using them for your home or business. Although security systems are an essential for business owners and home owners alike, there are other important uses for them as well. For instance, schools are beginning to rely on security systems more and more every day. Many people remember a time when security systems in schools were minimal, and a lot of people might remember when they weren’t used at all. In the past, people didn’t always take security as seriously as they do now, but taking necessary precautions in order to keep our youth safe and secure is an essential in today’s world. Not only is crime constantly on the rise in the many areas, but more and more children are looking for ways to get away with things at school and elsewhere. Although it might be impossible to keep our children completely safe at all times, security systems can aid educators in providing children with safe learning environments. What is the Importance of Security Systems for Schools in Broward County? Many people are a bit skeptical about the widespread use of security cameras for schools in Broward County. Those who remember growing up without security systems in school often wonder if these security systems are a waste of time and money, but it is important to realize that times have changed over the years, and there are a lot of things that parents and educators alike should be concerned about. One issue that parents and educators should consider is the possibility of mischief among students. Even the best of children get into mischief and trouble every now and then, but these kids can get in more trouble than they mean to get into if they aren’t properly supervised. Security systems can help educators to keep an eye on students to make sure that they aren’t breaking rules; by catching these problems and enforcing rules, educators can make it clear to students that the rules must be followed, and security cameras can help educators to catch things that they wouldn’t ordinarily see. Sometimes bigger problems occur than simple mischief-making, and it can be highly beneficial to have security cameras in place in these situations. For instance, kids often try to smoke cigarettes or sample alcohol or drugs on school campuses, and it can be difficult for teachers and other school staff to keep an eye out for this type of behavior. Security cameras that are placed around the school can help educators to watch out for drug, alcohol or tobacco use, and it can help them to take necessary action in the event that these illicit items are brought onto school campus. Bullying and fighting are other issues that can occur at school. Although some parents seem to think that bullying, teasing and bickering is common for school-age students, these behaviors can often escalate until they are out of hand, and students can get hurt if they aren’t properly supervised. Busy, overworked teachers, crowded schools and dark, and unmonitored areas can make it possible for this type of violence to occur, but security cameras that are placed in carefully selected areas can help educators to catch these types of behaviors when they occur. There are also more serious criminal behavior that can occur in schools if educators aren’t careful, but taking security seriously and installing security systems in schools can help to prevent and stop this type of crime from occurring. Although it is unfortunate to think about, there are people out there who kidnap or otherwise harm children. This can be a parent’s biggest fear, but taking the necessary precautions to keep schools safe can help to prevent this behavior. In the event that this type of crime occurs, it can be incredibly helpful to have video evidence; this can help to save a child’s life, and it can also help local authorities to find, prosecute, convict and punish the person who committed the crime. Theft and vandalism are also common in schools, and these types of crimes can make schools seem unsafe and can cost a lot of money. Luckily, security cameras can make it difficult and frightening for criminals to commit these types of crimes on school property, which means that security systems can actually stop this type of criminal behavior before it ever occurs. These systems can also help the police to find the person who committed the crimes, which can make the area safer and can help the school to recover the stolen property. These are just a few of the important reasons why security cameras are an essential in schools, and there are plenty of other reasons why their use is important as well. How Are Security Systems Used in Broward County Schools? 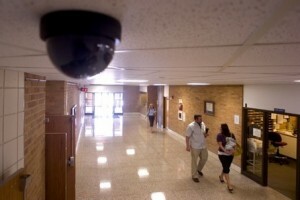 There are several ways that security systems can be used in schools. First of all, it is important that the school is under video surveillance at all times, and it is important that educators make sure that the security system that is in place protects all of the school. This means that security cameras should be posted in as many locations as financially feasible; since people often know where to look for security cameras, those who are sneaky can figure out which areas of the school are not under surveillance. 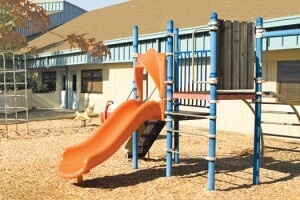 Hallways, doorways, playgrounds and the general perimeter of the school should be under surveillance at all times. If it isn’t possible for there to be enough cameras in place for this type of surveillance, educators should be smart about where each camera is placed. For instance, cameras should be placed by all entrances and exits of the school: This can help educators to monitor who is coming in and going out at all times. Driveways and entrances to the parking lot should be monitored, and it is also a good idea to keep an eye on playgrounds. Educators should also think about areas where crime or misbehavior might be rampant, such as in dark, hidden corners of the property, and they should put forth an effort to keep a close eye on this area. Doing so can help to prevent drug and alcohol use, smoking, bullying and other, more dangerous crimes. Security cameras are an essential part of security systems for schools in Broward County, but they have to be backed by a reliable system. Standalone digital video recorders are typically best for schools, and educators might need to find digital video recorders that can be hooked up to a large volume of cameras at one time. It is important that these video recorders have sufficient memory so that the school can keep surveillance footage for a reasonable length of time, and it is also good to have capabilities for external storage devices. Along with having surveillance cameras placed in the appropriate locations and having a sufficient security system, it is important for schools to be protected by burglar alarms as well. Using a good burglar alarm system on doors and windows can help to prevent theft and vandalism, and these burglar alarms should be constantly monitored by a security company for best results. The sound of the alarm going off will often be enough to send burglars and vandals running in their tracks, but the local authorities can be contacted and dispatched in the event that someone attempts to break into the school. Although these security measures can be highly beneficial in keeping both the school and the students safe, there are other security measures that should be utilized in order to make the school the safest possible environment for everyone involved. For example, it is important that educators work hard to actually monitor the surveillance footage that is captured by each camera. Although it can be easy to sometimes forget about this footage until something happens, monitoring the system on a regular basis can help educators to catch issues before they occur. Metal detectors should also be considered in many schools. Although it can be scary to think about, it is important not to forget that many schools have been the target of violence in recent years. In order to keep students safe, it is essential that no one is allowed into the school with a weapon of any kind, and it can be difficult for educators to monitor what is being brought into and out of the school without these precautions. Therefore, utilizing metal detectors is often a safe and smart idea for schools of all age groups. Are Security Systems for Schools in Broward County Expensive? A lot of taxpayers worry about the cost of security systems for schools in Broward County. Although it is important to keep a close eye on budgeting issues due to the state of the economy, it is also important to consider the safety and security of Broward County children. In the long run, the cost of security systems for Broward County schools is well worth it. First of all, you cannot put a price on the safety and security of Broward County children. This alone makes these security systems well worth their prices. Not only can educators keep a close watch to make sure that those who shouldn’t be on school grounds aren’t there, but they also have the proof that they need if something happens at the school. This type of security can save the lives of Broward County children, and security systems can also help to ensure that children aren’t getting in trouble and that they are getting the attention that they need. Along with looking at the safety that can be purchased with security cameras for schools, it is also important to look at the monetary benefits of purchasing security systems for schools in Broward County. Vandalism and theft can be rampant in schools in all types of neighborhoods, and Broward County schools are no exception. From the pesky and mischievous vandalism of children to full-on thefts and robberies by experienced criminals, schools have a lot to lose financially if they aren’t safe and secure. Therefore, security systems for schools in Broward County can pay for themselves very quickly by preventing these types of crimes; for instance, someone who sees security cameras in place might be scared away if he or she is thinking about robbing or vandalizing the school, and those who do attempt these crimes can also be more easily caught and prosecuted if the school has surveillance cameras and burglar alarms in place. It is also good to know that security systems for schools in Broward County aren’t as expensive as many people think. The cost of security cameras and accompanying security systems has gone down dramatically in the last few years, and educators can now have nice security systems with lots of features installed without having to shell out a lot of taxpayers’ money. This means that there is a medium ground that can be found which allows educators to keep their schools and students safe without spending a lot of money. Those who are looking for security systems for schools in Broward County should consider searching online in order to get the best deal. Although a lot of educators feel more comfortable contacting local security companies when having security systems installed in their schools, these companies often charge a lot of money for even the most basic of equipment. If you are looking to purchase a security system for a school in Broward County, you want to make sure that you get the best system for your money. By purchasing the system through the right company, you can spend thousands of dollars less on the system, and you can also end up with a system that is more reliable and that has more features. By shopping online, you can compare various systems, and you can often save a lot of money; even if you purchase an identical system to what the local security company is offering, you will often spend much less. Contact us today for a free quote.